The webname is waterproof, breathable and brilliantly comfortable. Engineered for light trekking and rambling in changeable conditions, they use Hydropel technology to disperse water and mud as you move, and come with a lightweight Isotex bootee liner to keep feet dry inside and out. 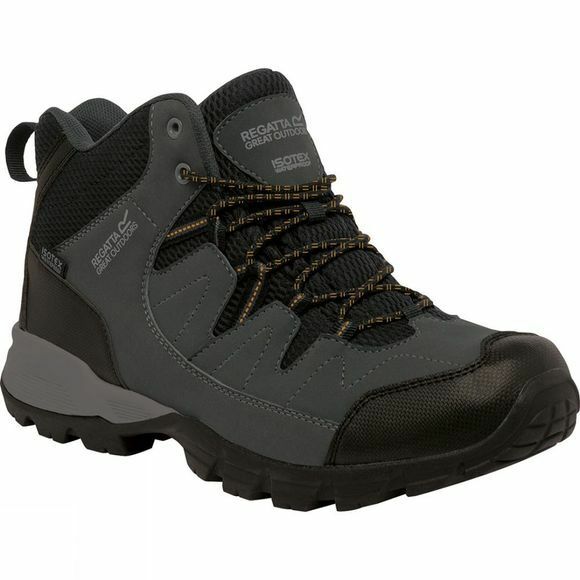 The heels and toe feature tough-wearing rubber overlays for increased durability, and the mid-cut height and internal steel shank provide solid support on uneven ground.